I dont know if you can tell, but her hair is all spiked, and she looks like one of the guys from that cartoon Dragon Ball Z. 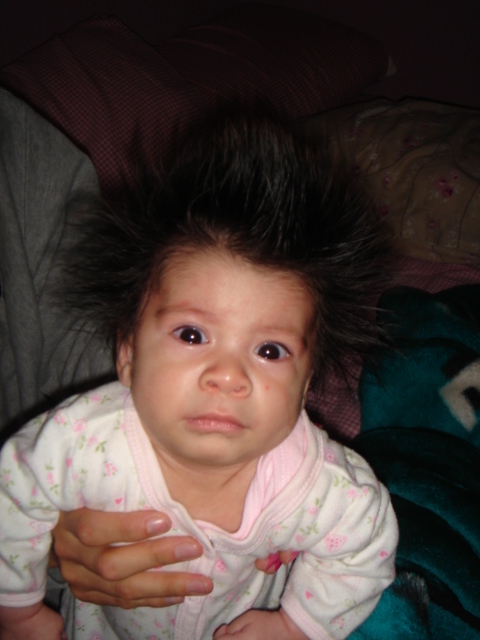 She was crying and sweating so much, that when I put my hands through her hair, it spiked. Poor Lili, she has crazy hair!